Crown Awards is America's largest awards manufacturer, and with more than 40 years experience as the industry leader, we have it all--from corporate plaques to sport plaques to recognition plaques. 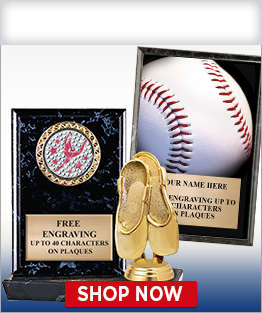 Simply select the plaque you like and personalize with your very own engraving. Crown offers SAME DAY SHIPPING (on web orders placed by 5:00 PM EST) on in-stock plaques and FREE SHIPPING on all plaque orders $100+! 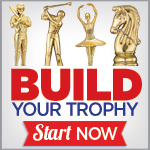 Types Trophies Medals/Dogtags Lapel Pins Acrylic Awards Cup Trophies Plaques Crystal Awards Sculptures Rings Custom Logo Trophies Sale Custom Medals Custom Logo Awards/Promos Custom Pins Belts Party Favors Certificates Ribbons Embroidered Shirts Engraving Plates See All Sports! 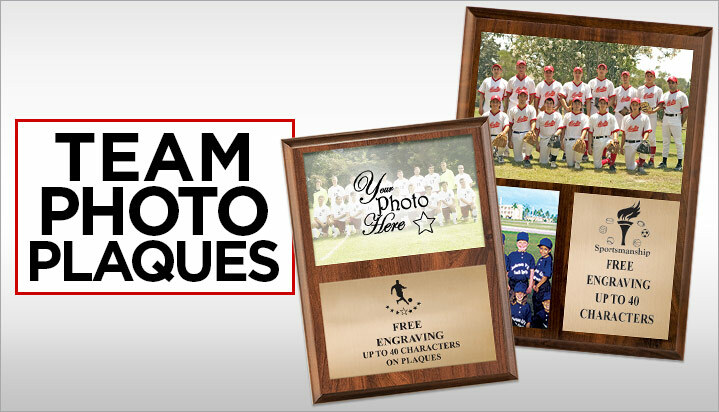 We Print Your Photo And Assemble Your Plaque! 7" x 9," 8" x 10" And 9" x 12"
Great Coach & Player Gift! We have the largest selection of sport plaque awards available anywhere. 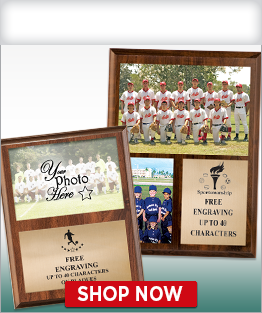 Crown&apos;s sport plaques, from our Show Stopper Plaques and Motion Plaques to our Insert Plaques are the perfect way to award your players, coaches, sponsors and parents. 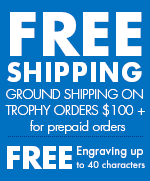 We include FREE engraving up to 40 characters and FREE ground shipping on credit card orders over $100. In addition, all of our perpetual plaques come with your choice of gold, silver or black engraving plates. Crown&apos;s corporate plaques are the perfect way to increase your brand recognition, while simultaneously awarding your team, employees, clients and business partners with plaques. 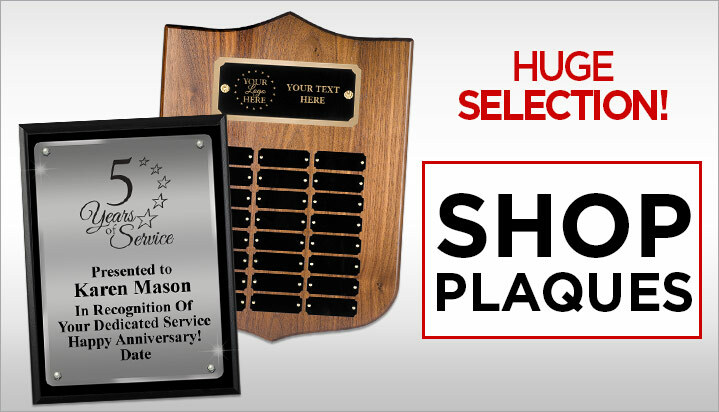 Our engraved award plaques are created with a high-quality laser engraving process. 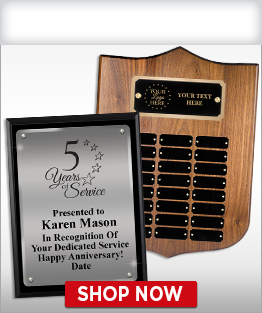 Customize many of our awards with your logo and text. We offer both individual plaques, as well as perpetual plaques. As America&apos;s largest awards manufacturer with over 40 years experience, Crown&apos;s Trophies will fit your award plaque gift-giving needs whether your budget is large or small. We provide our customers with superior customer service and the highest quality products at the lowest prices available, making us your trophies and awards manufacturer of choice. Our staff is here Monday through Saturday to answer any questions you may have regarding your plaque order. Call us today at 1-800-227-1557!